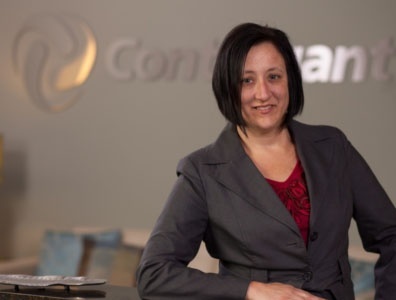 For over a decade, Jannae Vannberg has led a team that takes care of some of Continuant’s largest customers, including Fortune 100 and Fortune 500 companies. As a Global Service Delivery Manager for Continuant’s largest customer, Jannae manages the customer relationship as well as the System Integrator relationship for servicing the customer. This vital role was a natural transition for Jannae as Continuant matured in areas of ITIL and Service Delivery. Previously, Jannae spent ten years fulfilling the role of Senior Named Account Manager, where she focused on the “big picture” of the customer’s business and business needs, while at the same paying meticulous attention to detail. With her process management skills, solid work ethic, and commitment to her customers and service, Jannae strives to pleasantly surprise everyone who touches the service delivery needs of her customers. “Many of our customers tell us they’re pleasantly surprised once they start working with Continuant. Unfortunately,” she says, “most of them have never experienced extraordinary customer service, or haven’t experienced it in a very long time.” Jannae travels all around the world to spend time with her customer contacts and learn more about their business communications needs and goals. Jannae began her career at Gap Inc. right out of college, excelling in several areas of the business from the store level to the telecom project management team. Along the way, she developed her service skills and educated herself on the telecommunications industry. She helped design and build Gap’s first customer service and contact centers. In 2006, after 12 successful years at Gap, she joined Continuant, relocating from Northern California to the Seattle area.